If you’ve always dreamed of being a police officer, this is your chance! 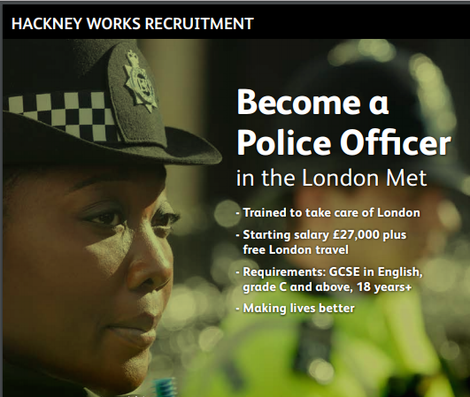 The Hackney Works team are hosting an information session at the Pembury Community Centre, 1 Atkins Square, Dalston Lane, London, E8 1FA on 15 February 2019. Attend one of two sessions at 10am or 2pm for your chance to earn a starting salary of £27,000 plus free London travel! 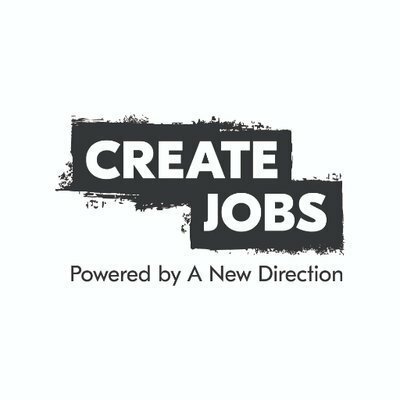 Create Jobs are looking for the next generation of creative talent in the arts and cultural sector. They are offering 15 young creatives the chance to collaborate with industry professionals through a six-week introduction to the world of arts and events production. Applications close at 10am on 11 February. Search all current Hackney Council vacancies. Are you a qualified English teacher looking to put your skills into good use in the local community? Or are you working towards a CELTA/TEFL qualification and need some practical teaching experience? Then this might be the role for you. Applications are now open for the next Specialty Barista Course with Well Grounded. This is a free 6 day barista training course to gain an internationally recognised barista qualification from the Specialty Coffee Association. The Adult Learning Service provides a range of courses, from First Aid to Crafts and even English and maths. To apply and find out more. Due to yellow wind warnings Abney Park was to be closed on Fri 8th and Sat 9th Feb. But it was open on the Friday so check.